Over 75 providers turned out in Montpelier to mark the occasion. 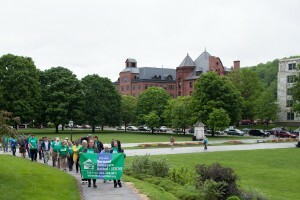 Rainy weather was no deterrent as they took to the streets of the capital carrying AFSCME’s Vermont Homecare United banners and boxes of the authorization cards that they and thousands of their colleagues have signed. 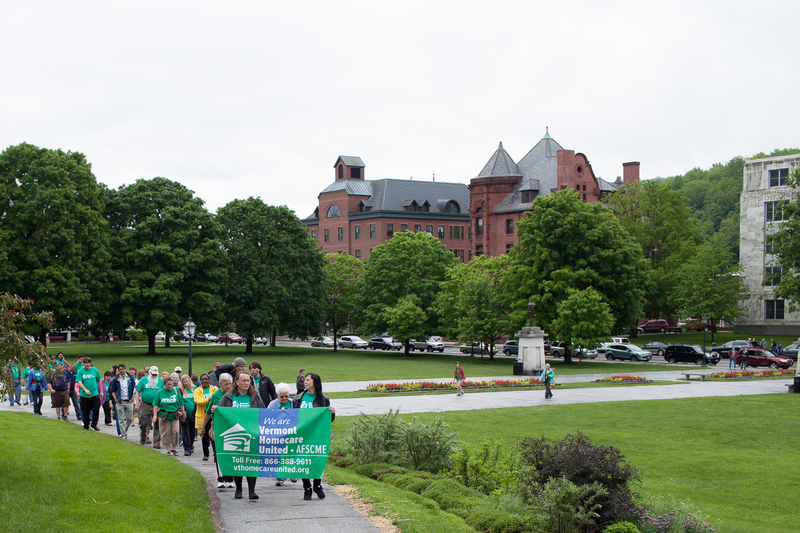 Homecare provider Jason Mills delivers union authorization cards to the Vermont Labor Relations Board. The cards that they delivered to the state labor relations board represent over three-fifths of the state’s total homecare workforce. 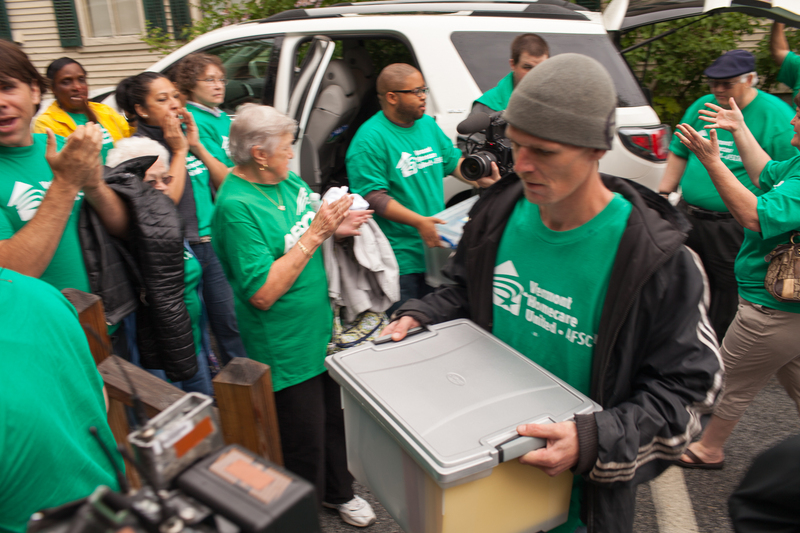 By filing for a petition for election, providers have taken another step towards becoming AFSCME’s Vermont Homecare United members. 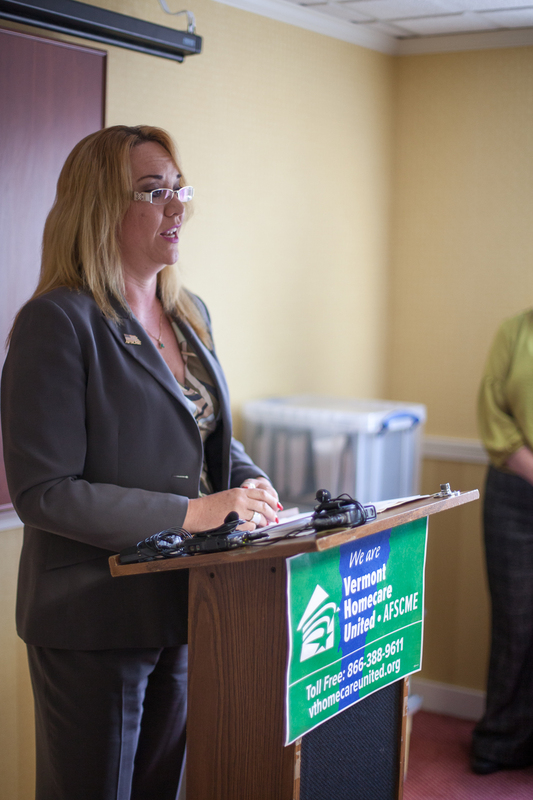 AFSCME already represents thousands of workers across Vermont, and has been endorsed by the Vermont AFL-CIO to represent homecare providers. AFSCME Secretary-Treasurer Laura Reyes shares her personal story of organizing as a homecare provider at the press conference for AFSCME’s Vermont Homecare United.